Congratulations to Jeremy and Herman Terpstra, Terpstra Farms Ltd, of Brussels, ON! 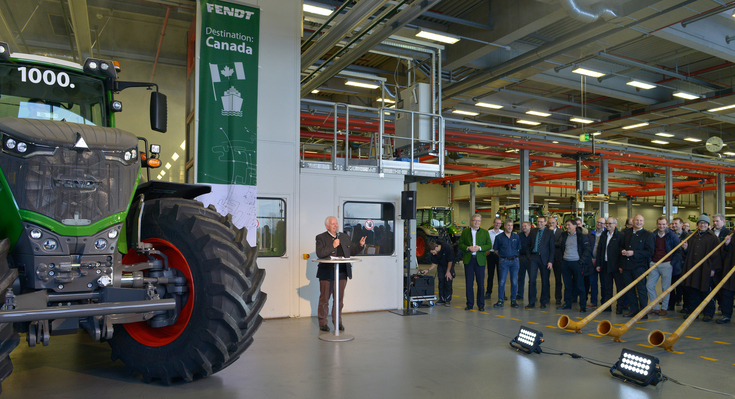 Their Fendt 1038 is the 1000th Fendt 1000 to roll off the assembly line. Finished on December 20, 2017, the tractor will hopefully get to the farm by late February. The Fendt assembly line recently paused to recognize this achievement. 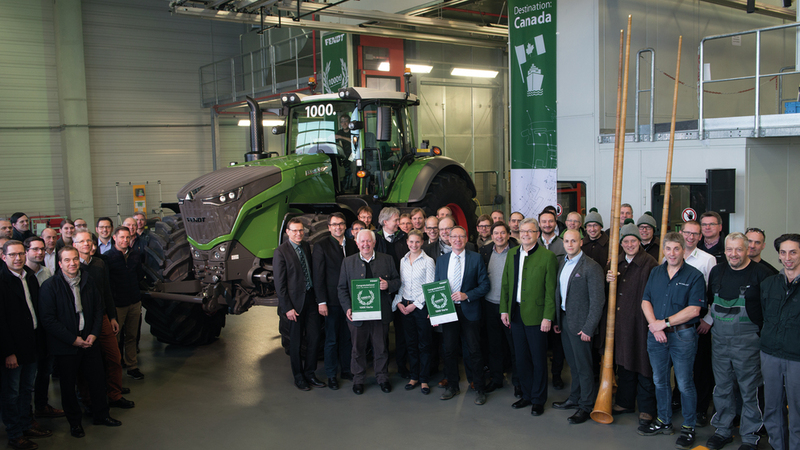 The Fendt 1000 has been very well received across all corners of the world since its release, and the milestone of production comes sooner than anticipated. Some executives were on hand for the roll out, and a full report can be found here. The special tractor is said to come with a golden serial number plate, and is sure to be greeted with some fanfare here in Canada as well.  Maple Lane has had the privilege of working closely with Terpstra Farms for the last number of years. We feel it is fitting that this milestone tractor will find its home with these excellent operators.